Data-driven analytics is becoming an important point of competitive differentiation in the upstream oil and gas industry. When it comes to production from shale, companies are realizing that they possess a vast source of important facts and information in their data. In analysis and modeling of production from shale, our traditional techniques leave much to be desired. Field measurement data can provide much needed insight. Data-driven analytics is the set of tools and techniques that provides the means for extraction of patterns and trends in data and construction of predictive models that can assist in decision-making and optimization. In advanced data-driven analytics, data from the well and the formation are integrated with field measurements that represent completion and hydraulic fracturing practices and are correlated with production from each well. As the number of wells in an asset increases, so does the accuracy and reliability of the analytics. Attendees will become familiar with the fundamentals of data-driven analytics and the most popular techniques used to apply them such as conventional statistics, artificial neural networks, and fuzzy set theory. This course will demonstrate through actual case studies (and real field data from thousands of shale wells) how to impact well placement, completion, and operational decision-making based on field measurements rather than human biases and preconceived notions. Application of data-driven analytics and predictive modeling in the oil and gas industry is fairly new. A handful of researchers and practitioners have concentrated their efforts on providing the next generation of tools that incorporates these technologies for the petroleum industry. Data-driven analytics have become an integrated part of many new technologies used in our daily lives such as smart automatic transmissions in cars, the detection of explosives within airport security systems, smooth rides in complex subway systems, and the prevention of fraud in credit card use. They are extensively used to predict chaotic stock market behavior, and are increasingly being used to optimize financial portfolios. A large amount of data is routinely collected during production operations in shale assets. The collected data can be utilized to gain a competitive advantage in optimizing production and increasing recovery. This course is intended for completion engineers, production engineers and managers, reservoir engineers, geoscientists, asset managers, and team leaders. 0.8 or 1.6 CEUs (Continuing Education Units) are awarded for this 1- or 2-day course. 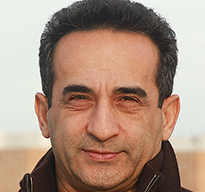 Shahab D. Mohaghegh, a pioneer in the application of AI, machine learning and data mining in the exploration and production industry, is professor of petroleum and natural gas engineering at West Virginia University, and the president and CEO of Intelligent Solutions, Inc. (ISI). He holds BS, MS, and PhD degrees in petroleum and natural gas engineering. He has authored three books, more than 170 technical papers and carried out more than 60 projects for independents, national and international oil companies. He is an SPE Distinguished Lecturer and has been featured four times as a Distinguished Author in SPE’s Journal of Petroleum Technology. He is the founder of the SPE Petroleum Data-Driven Analytics Technical Section dedicated to AI, machine learning and data mining. He was honored by the U.S. Secretary of Energy for his technical contribution in the aftermath of the Deepwater Horizon (Macondo) incident in the Gulf of Mexico and was a member of the U.S. Secretary of Energy’s Unconventional Resources Technical Advisory Committee in two administrations (2008-2014). He recently represented the United States on the International Standard Organization (ISO) carbon capture and storage technical committee (2014-2016).